In Ethiopia, people are no more afraid to talk. To be precise, they do talk inside their homes and cars, or in the backrooms of their offices. Few do talk freely to the media. They talk mostly about Amharas, Oromos, Somalis, Tigrayans etc. never about substance or policy but about incidents, clashes, things. It seems that the geniuses running politics (past and present) in Ethiopia – people like Jawar and Meles – have helped us discover the real zombie virus in us. Instead of filling our hives with honey and wax we have rather chosen to fill with dirt and poison. We finally realized that we Ethiopians dislike each other with passion. This hatred isn’t directed to a particular person. It’s an abstract dislike directed at identity. The Oromos “dislike” the Amharas and vice versa. A good number of Ethiopian ethnic groups “dislike” the Tigrayans’. But when this dislike is concretized and particularized, the disliker realizes that he or she doesn’t dislike the particular Wolayta, Afar, Oromo, or Amhara person. In fact, all Ethiopians have cross ethnic friends. Millions of Ethiopians have married, or date, across the ethnic divide. We should, and need to interrogate this posture. With that background nothing meaningful will happen to change the current ethnic based discourse, or to put a brake on the slide towards ethnic centered nationalism. 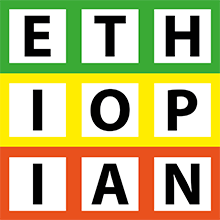 We already know that ethnic attachment in Ethiopia is deepening not diminishing, while efforts at preserving the nation state also persist along with it. The advent of PM Abye Ahmed may have given a breathing space to people, but on the ground the situation has not really changed. For now, everybody remain optimistic. Few complain, most don’t, but there are no concrete proposals on how to move the country forward. Are we opting for political rather than ethnic nationhood? We don’t know. Speaking of ethnicity, if we agree that there are different ethnic groups in a society, then we have already agreed that there will be divisions in some contexts. In fact in order to understand why ethnicity has become stronger as a basis of group mobilization, it is necessary to modify the bald assertion that ethnicity serves as a means of advancing group interests – which it does – by insisting that it is not ONLY a means of advancing interests. Indeed, one reason that ethnicity has become so effective a means of advancing interests is that it involves more than interests. Today ethnicity has become more salient [than class] because it can combine an interest with an affective tie, while, on the other hand, in the case of class, what had once been an ideology has now become almost exclusively an interest. Come to think of it, why on earth would one wish to be an Amhara when one could be an Ethiopian or a Liberal? One reason, we are suggesting, is that being an Amhara – or an Oromo, or a Somali – frequently involves a distinctive advantage or disadvantage, and that remaining an Amhara, or Tigreyan, or an Oromo, or Harari is just as frequently a highly effective way either to defend the advantage or to overcome the disadvantage. Today there is a growing phenomenon across the world that of the return of ascribed rather than achieved characteristics as determinants of social stratification. It may be that ethnicity is merely part of this larger development. The way to save the Republic is to go back to basics: call a constitutional participatory convention to undertake constitutional negotiations with the regional states and citizens, to redefine power sharing vis-a-vis the federal state or even to redesign a new constitution. Discussions of what kind of state Ethiopia wants, what its policy goals should be, and whether they are compatible with a federation of states with a republican form of government should be opened. What, exactly, PM Abye and his Party (if it still exists) stand for is still in dispute. But we hope to see more big ideas than big personalities.